The scale of Thamserku's vertical rise is evident when using the tiny village of Portse for scale. 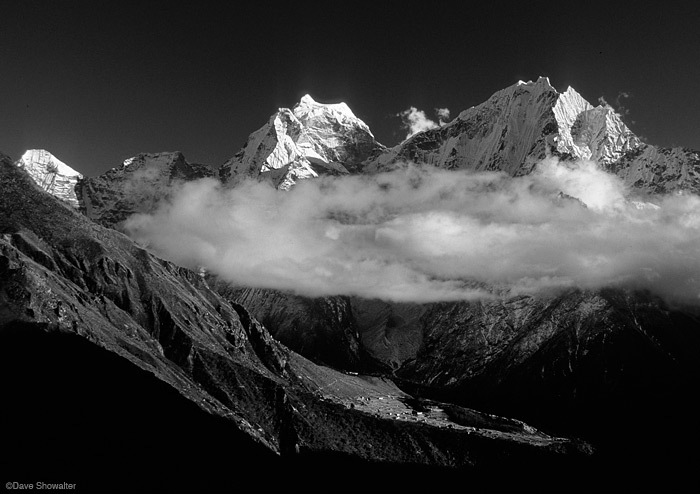 Every afternoon of our Khumbu trek, clouds would roll in and completely obscure the mountains in minutes. Photo © copyright by Dave Showalter.